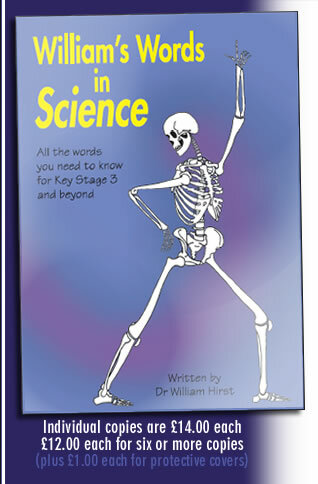 William's Words in Science is now available. A concise and comprehensive collection of science terminology. To secure your copy or order for the classroom, either download an order form by clicking here, or simply use PayPal by clicking the button below.